You’ve just had the experience of a lifetime. You’ve seen things that other people could only dream of. You’ve made incredible friends, who were as close to you as family. You’ve tasted exotic foods, and you’ve slept under the stars. You’ve gone for weeks without washing your clothes – but you won’t tell anyone that. And now you’re home. And it’s as if none of it ever happened. Your friends and family politely nod and smile as you tell another travelling tale, or show them photos, but they don’t get it. People start asking when you’re going to get a job, or get married, or get a house. Yet all you want to do is be back by the sea, with your toes in the sand. The reason why travelling is so exhilarating is because nothing stays the same. You’re constantly on the move, aiming for a new city, country or continent. You know every day will be different – and you’ve got a plan. It might have just been a vague list of things you wanted to see and do, but it was still a plan. And that’s what you’ve got to do now. Maybe you want to travel again, or maybe you do want to buy your own home. Either way, it’s time to start thinking of the future, and putting a plan in place to get you there. You’ve got enough photos and video footage to create the next blockbuster. But if you don’t organise them all properly, you won’t be able to make the most of them. Start with sorting your photos. Try to store them in order – whether that’s chronological or by country is up to you. And don’t forget to back them up. Put them on a separate hard drive or USB stick to your computer memory, and use an online storage site like DropBox to back them up remotely. Losing your photos is heart-breaking – but easy to avoid! 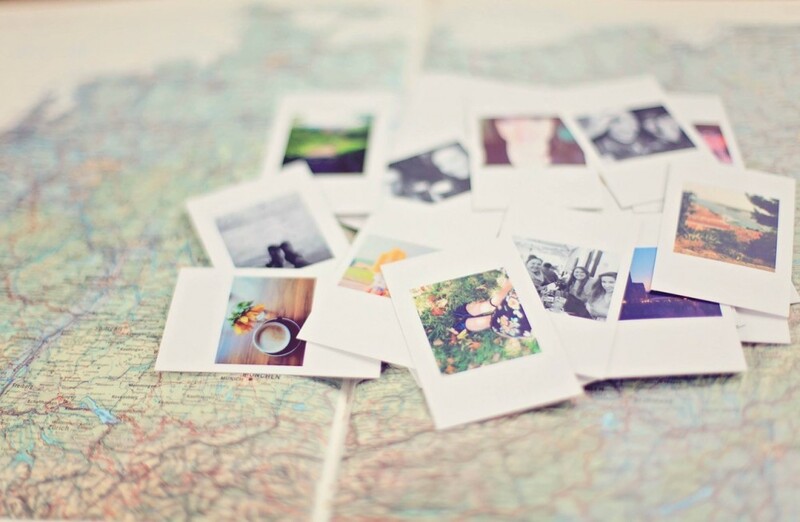 You could also try scrapbooking – print off your favourite photos, and create something solid with all your memories. You could include all your old tickets and memorabilia too. Next up, look at all your videos. Video production, on an amateur scale, is easy to do yourself. So, why not look at creating a montage of all your best bits? Depending on how much footage you’ve got, you could do a video of your entire trip – or per country! As the saying goes: “find a job you enjoy doing, and you’ll never have to work a day in your life”. Before you left to go travelling, you might not have had a clue what you wanted to do. But hopefully some time away from the real world has given you some vague ideas of what you might enjoy doing. And if you did have a career plan before you went – now’s the time to put it into action. It’ll lots of trial and error to find the right place for you, but once you do find it – there’s no stopping you. Work doesn’t have to be grind, if you’re at the right place. Even when you find your dream job, it won’t be fun and easy every day. But overall, it’ll be worth it. This is a great read to help get you on the right path. If you can’t stand the thought of going a month without visiting a new city or exploring somewhere new, then book a weekend away. Once you’ve got something in the diary, staying at home won’t feel so bad. You need keep busy, and keep booking small trips. It might not be as all-encompassing as going travelling full-time, but it’s still a great way to give yourself a travelling hit, without having to give everything up. Once you’ve had an adventure and you’ve learnt to cope by yourself, it’s hard to readjust to a slower pace of life. So, while you’re still in the nomadic mood, why not use this chance to move somewhere new? While travelling, you probably got a sense of what areas you love the best. Is it being walking distance from the beach? Or living as a city-slicker in a high-rise? Moving to a new town or country is best done when you don’t have any ties – and if you’re just back from travelling, it’s likely that you don’t have any at the moment. If you’re not sure where you want to live, why not try temp work in different cities, to get a feel for where suits you? That way, you’re still travelling – sort of – but you’re earning money as you go. Check out one of our older articles on finding the perfect location for your lifestyle. As Terry Pratchett said, “coming back to where you started is not the same as never leaving”. While some of your travelling buddies may have put up permanent residence in exotic countries, not everyone can do this. Whether you have financial worries or family ties, coming home isn’t a bad thing. You’re surrounded by people who love you, and memories of good times. You just need to work hard to rekindle those good times. Remind yourself why you stayed in your hometown for so long – was it the people? The job opportunities? Your family? The environment? There’s a reason you came back. Now you’ve just got to work at making it the reason you stay. Don’t think that any of the above will quell your thirst for adventure and travel? Well, get back on the road then. Start saving up again, and in the meantime, why not start making plans for your next trip? It’ll make the wait feel much easier. You could also look into jobs you can do on the move. Many people make money through travel blogging, and there are some careers you can have on the move, or in a freelance position. If travel blogging sounds interesting, read more about it here. Travelling is an expensive bug to catch, but it’s one that enhances your life on every level. If you can strike the right balance between travelling and living a normal life – you’ll be doing well! But if travel is your true passion, don’t hide from it. If you want something badly enough, it’s always possible to get.